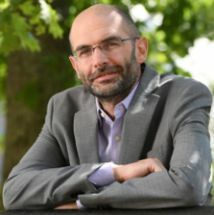 Ruben Zaiotti is the Director of the Jean Monnet European Union Centre of Excellence, the Jean Monnet Chair in Public Diplomacy and Associate Professor in the Department of Political Science at Dalhousie University. He holds a PhD from the University of Toronto, a Master of Studies from the University of Oxford and a BA from the University of Bologna. Find out more about his research and teaching at the Department of Political Science. Ruben’s areas of research interest relate to migration, border control and security in Europe and North America. He has a blog on these issues at www.schengenalia.com and a second blog focusing on artistic and creative depictions of European borders at www.schengenborderart.com. 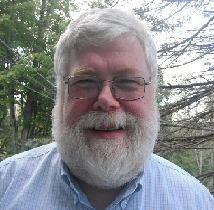 Robert Finbow is Deputy Director of the JMEUCE and Professor at the Political Science Department, Dalhousie University. He also leads the CETA Implementation and Implications Project, funded by the Erasmus+ programme of the EU and supported by the JMEUCE. After doing an undergraduate degree at Dalhousie University and MA at York University, he completed an MSc and PhD at the London School of Economics. For his research interests and publications, check his profile on the Political Science Department website. Madeleine has been the Coordinator at the JMEUCE since 2016. She holds a BA from the University of Cambridge and an MDE from Dalhousie University. Alanna works on the CETA Project and Health Law and Policy Network. She holds undergraduate degrees from Memorial University of Newfoundland and St Mary's University, and an MA from Dalhousie University.